Pulsar introduced three new models to their Core series. The Core lineup is their series of thermal rifle scope optics. The three models added are the Core FXQ38, the FXQ50 and the Core RXQ30V. The FXQ38 and the FXQ50 are engineered as dual-use devices. First, you can use both the Pulsar Core FXQ38 as well as the Core FXQ50 as standalone handheld thermal scanners. They fit comfortably in your hand to act as thermal monoculars. Second, you can attach them to a Picatinny rail and use them as a night-vision rifle scope attachment. They work equally as well in either mode which makes them extremely versatile to use. These two new devices have interchangeable eyepieces. One option is to use them as an easy clip-on attachment to a regular, optical rifle scope. These new optics have an external power supply and are waterproof. You can use them in the field on a hunt without having to worry about damaging them. The shutter calibration is noiseless. Both of these 2-in-1 scopes use an AMOLED display with a 640x480 display resolution. They have high resolution sensors built in which allows for long range thermal detection. Pulsar states the distance to acquire a human sized target to be 1,475 yards for the FXQ38. The FXQ50 can detect such targets out to 1,970 yards. 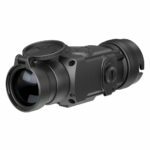 The Core RXQ30V in comparison is designed as a thermal night-vision rifle scope yet it can also be used as a thermal monocular. It’s designed to be an affordable option for thermal imaging. 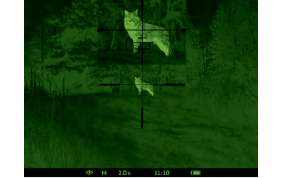 It can detect heat signatures up to 985 yards away which allows it to act as a great night-vision scope while staying affordable. This does not mean though that Pulsar designed this thermal sight with cheap components or built it in a less reliable way. You’ll be impressed by the AMOLED display. It displays the surroundings in a high contrast green screen. This prevents eye fatigue and quick target acquisition. The Core RXQ30V also provides Pulsar’s Picture-in-Picture feature. This allows to have a view of the wide field-of-view as the main display. On the top of the display you can view a magnified window of the target area at the same time. Depending on your preference for a specific reticle type, the RXQ30V can display one out 10 different electronic reticles. 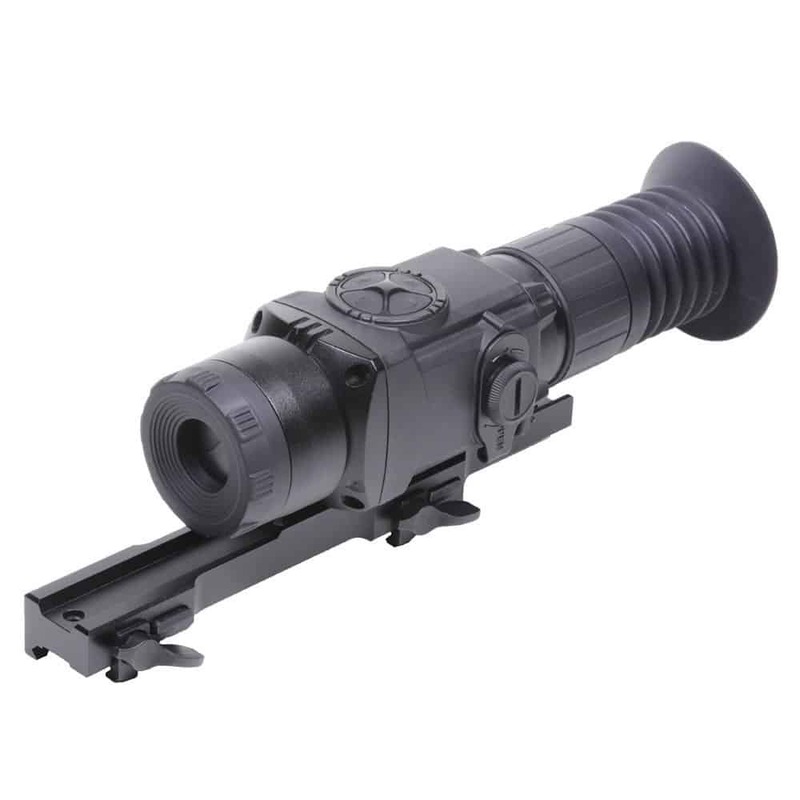 It easy to sight-in this scope with a one-shot zeroing function with freeze option.